Here are three experimental short movies I did using the slow motion video capturing feature of the Microsoft Lumia 950XL. It's becoming my real favorite in taking photos and videos during coverage of events as it is more convenient and lighter than my Sony mirrorless camera. I am actually considering making it as my primary camera for my blog post rather than my original camera. The only thing I am disappointed with about the Microsoft Lumia 950 XL is on taking videos using the front camera. The audio recording is too weak and you couldn't hear me do a video selfie. There's no problem using the rear camera for taking videos as the audio can be clearly captured. Another shortcoming of the Microsoft Lumia 950XL is that it heats up when you leave it on, or when the last use was of the camera. Even if you put the screen off, I think the internal processing within the Windows phone is till running thus heating up when left unused for a long time. Just like a desktop computer, there are also occurrences of hangs every now and then, and also slowdowns when viewing the grid view of all my photos. However, as mentioned earlier, it works well when taking photos and videos at all kinds of events, as long as you use the rear camera, and it fits fine on my selfie stick or monopod despite being of a bigger size. Here I talk about this seemingly small trading of birds but could eventually become terribly exploited in the long run. I am not even sure if it's already exploited. I am also not very comfortable seeing helpless animals taken in as pets or playthings buy little children. These birds, just like any other animal, deserve to live in the wild, and not caged for entertainment or decor. Kalkal Kultura featuring Ang Tunay Na Baliw is another experiment of the Slow Motoion video capture of the Microsoft Lumia 950XL. This feature is good when you're capturing life in its most intimate state. Slowing down the frame to get an awesome coverage of action events or movements that involves a lot of colors, shapes and sizes. I was fortunate enough to be at the right place and at the right time to capture an individual expressing his thoughts to the market vendors. It's highly debatable who is insane here as he somehow makes some sense too. But who am I to ask who is really crazy among us? We all have some loosed screws that needs some tightening to be better individuals. 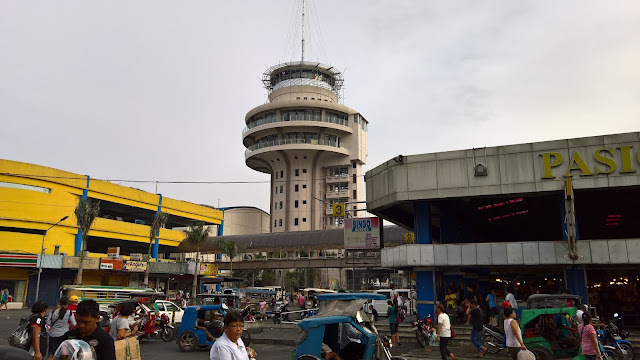 Third on my video experiments using the Slow Motion feature of the Microsoft Lumia 950 XL is an unexpected visit to Charing's Halo-Halo Special, a food stall found inside the Pasig City Mega Market. I used the slow mo in taking the videos of some scenes including the first part of the video. Aside from enjoying the Halo-Halo, and the equally good Palabok, I also had fun taking photos and videos like a pro in mobile photo and video shoots. You'll probably notice that the videos where taken at the vicinity of the Pasig City Mega Market. This is because I did all the video and photo captures during our weekly visit to the market to buy another set of food for our home and for my children's school meals that's good enough for the entire week. I find it really interesting to apply my creativity on everyday scenarios and give meaning to each and every image. It gives me a better perspective in life to appreciate even the little things around us. For sure, I will be doing more of these works as it inspires me to become more creative.